Some paintings vibrate with energy. Impressionists like Monet tried to capture light. Futurists like Boccioni portrayed motion and speed. Expressionists like Van Gogh conveyed emotions. These qualities – light, speed, emotion – are variations of energy. Energy is one of the most ephemeral qualities to depict. Energy may be indefinable but it is a universal concept. Some feel energy as a connection with another human being; some perceive it as the brightness or the heat of the sun on an astounding day. Others label energy as a destructive force while still others see it as the genesis of life. We all have an innate sense of the impact of energy. 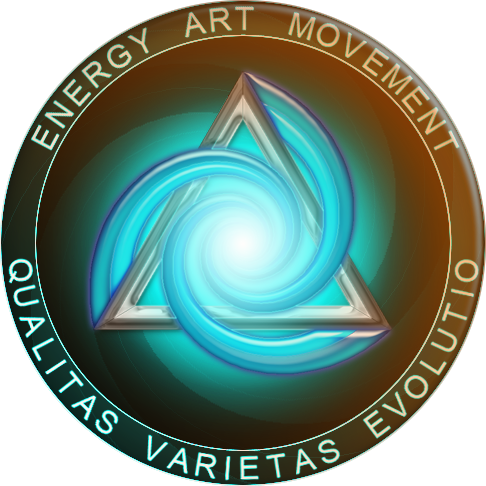 Energy Art is the depiction of energy using color, form, and composition to create inventive and expressive works of art that resonate with impact and feeling. These are those works that pulsate with a mysterious force, whether it is a force beyond us or part of our own elemental humanity. 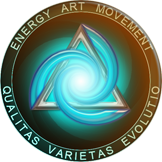 The Energy Art Movement was launched in May of 2008 by a group of artists collectively interested in raising the standards of artistic expression. They believe that visual dynamism – “Energy Art” – is a natural evolution of art trends that preceded it, particularly those trends which reflect the complexity of civilization. As technology and science hurtle us forward, the Energy Art Movement holds that art should do more than reflect our surroundings: it should aspire to capture the energetic essence of life. All images on the site, including the logo and tile, are copyright of their given creators and are displayed with their permission.